Remember that last week we posted our review about GlobeIn? Now is your chance to win a World Kitchen Box from GlobeIn. 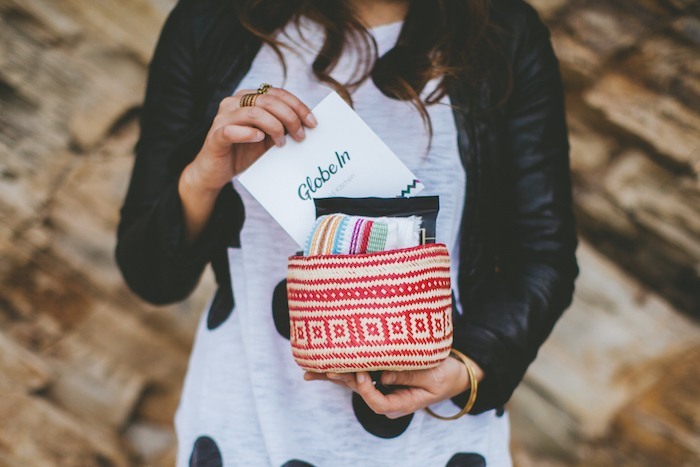 GlobeIn is an online marketplace that brings fair-trade, handcrafted goods from artisans around the world in a monthly box. – Fez Mini Tagine by Le Souk Ceramique, Tunisia. – Kitchen Towel by El Tun, Guatemala. – Pure Ground Vanilla by LAFAZA, Madagascar. – Coconut Sugar by Big Tree Farms, Indonesia. – Inka Salt by Natierra, Peru. – Coffee by Boca Java, Nicaragua. – Palm Leaf Basket by Martina , Mexico. This giveaway is available to readers worldwide. A BIG tks to everybody who took part and congrats to the winner: Adriana M. from Canada!!! Stay tuned because on July we will have another giveaway!!!! This is one of the neatest ideas I’ve seen! What a great way to get a little “view” of the world! I love things like this! Thanks for sharing and for the fun giveaway! I’m glad you liked Alyssa!! We got super excited with the idea too, such a lovely way to help and get “international” & delicious stuff delivery to your home! Fingers crossed!! We can not choose the winner, so you better “pray” for the system to choose you! In love with your idea not to mention your blog! Would love to travel the world with your gift box since from the listed countries I’ve been only to Indonesia so far :p. Hugs from Romania! Sounds like an awesome bundle of stuff, I’d love to win! :) Thanks for the chance. My husband loves New things from around the world and he loves cooking, so this is perfect! I love subscription boxes and that one looks amazing! So many great products in there! Cool stuff. So happy to see that there are people out there willing to help us “travel” across the world in such an amazing way. What a fun giveaway. I’ve never heard of World Kitchen Box before but I love the idea, and the fact that everything is organic or fair trade is even better. I love this idea ? It’s an awesome idea indeed!